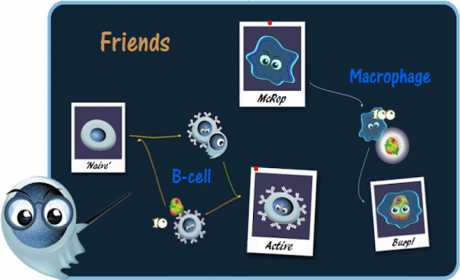 Hy, my scientific name is B-T Dual Lymphocyte, but you can call me Blanco. I’m a white blood cell and like any self-respecting video game hero I’m a little special. Thanks to a rare genetic mutation I’m both a B lymphocyte and a T lymphocyte. 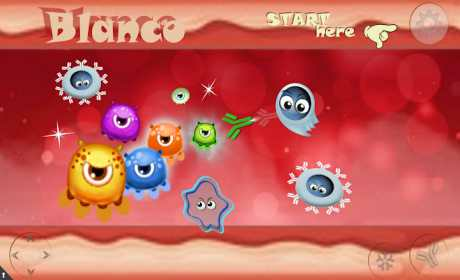 In this game I fight together with my trusted friends against 5 super-virulent species of Polyphemi viruses. Don’t worry, you don’t have to be a biologist to play with us; we only need your skills to defend our host body. I’m sure that if you join us we’ll be able to reject even the most dangerous viral attack. …but you have to be carefull about viral mutations, because the more time passes the more Polyphemi viruses become resistant. Blanco is a safe environment, with NO third-party advertising, in-app purchases or hidden data collection.